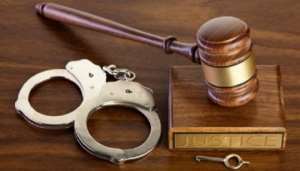 A 26 year old drummer on Thursday appeared before an Accra Circuit Court for allegedly robbing two persons of their mobile phones valued at GH¢3,000.00 and cash of GH¢300.00 at the Independence Square Gardens in Accra. Samuel Marfo allegedly committed the act with an accomplice now at large. Marfo charged with robbery had his plea not taken by the court. This follows Chief Inspector Victor Dosoo, who was leading the prosecution's plea to the court, to preserve the accused plea pending further investigations into the matter. The court presided over by Mr Aboagye Tandoh therefore remanded Marfo into Police custody to reappear on February 28. Prosecution narrated that the complainant, a student resides at Kasoa Nyanyano and whiles the accused resides at Pokuase. On February 2, this year, at about 23:00 hours, Deborah Akua Animah Annor Mens, the complainant who is a student was having a chat with Evans Ansong, a witness in the case when Marfo and his accomplice, now at large approached them and without any provocation started beating them up. Prosecution said Marfo and his accomplice in the process took away their Iphone 8 and Sonny Ericson mobile phones all valued at GH¢3,000.00 cedis and the cash in the sum of GH¢300.00. According to the prosecution, the witness who had to run from the scene raised an alarm and with the assistance of some two driver's mates Marfo was arrested. Prosecution said Marfo's accomplice escaped with the phones and the cash but Marfo was escorted to the Police station and report was made. Prosecution said Marfo has failed to lead the Police to arrest his accomplice.